Product Overview All PNY Prevail Pro Mobile Workstations purchased from Scan now come with 3-Years Next Business Day Onsite Service from PNY as standard, to maintain high productivity & for added peace-of-mind! 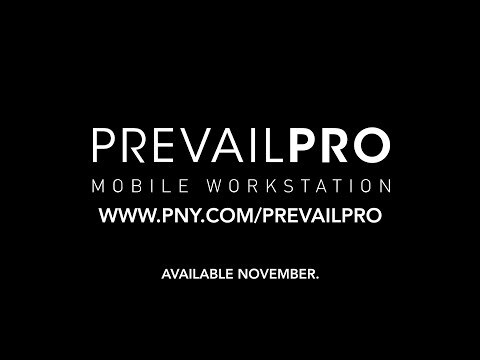 Introducing the PREVAILPRO from PNY, a range of powerful, versatile, lightweight and thin advanced mobile workstations. Powered by NVIDIA® Quadro® GPUs, PREVAILPRO delivers powerful mobile solutions to professionals working with graphically challenging and compute intensive applications. A remarkable blend of form and function, PNY PREVAILPRO is one of the fastest, most powerful, most compatible, and most compact mobile workstations ever conceived and implemented. Until now, mobile workstations really weren't very mobile and simply couldn't keep pace with desktop offerings. 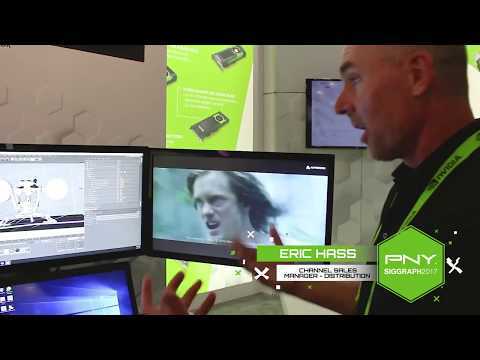 PNY's thin and light PREVAILPRO P4000 series resets expectations by delivering the ability to interactively work with large and complex models or scenes, drive up to four 4K UHD displays simultaneously, generate stunningly realistic and immersive professional VR environments, or product photorealistic renders on the road, without straining shoulders or breaking budgets – all with unmatched NVIDIA Quadro performance, features and ISV compatibility. This configuration is based on the Quadro P4000 Mobile GPU with 1792 CUDA cores and 8GB of GDDR5 GPU memory. Capable of delivering up to 4.4 TFLOPS of FP32 performance, the P4000 easily powers today's most sophisticated Manufacturing, DCC, M&E or Scientific and Technical applications. 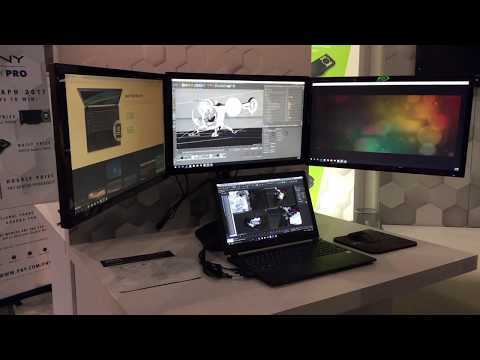 This system fully implements NVIDIA's innovative and transformational Max-Q Design standards for thin and light mobile workstations and never exceeds 40db – even when running under full load. Complemented by an Intel Core i7-7700HQ processor running at 2.8GHz and the Mobile Intel HM175 Express Chipset, a balanced system architecture suitable for any mobile use case is realized. 32GB of high performance DDR4 2400MHz SODIMM memory provides room for application data, while a 512GB M.2 PCIe NVMe SSD and a 2TB 2.5" HDD provides extraordinarily generous storage. The built-in 16:9 aspect ratio 15.6" UHD (3840 × 2160) display provides superb clarity and vivid colour. A full complement of I/O ports, including HDMI 2.0, 2x mDP 1.3, 3x USB 3.1 Gen 1, 2x USB 3.1 Gen 2 Type-C, 1000BASE-T Ethernet, Wi-Fi, Bluetooth, audio input and output and a versatile media card reader are all provided. A full size English keyboard and numeric keypad, both with LED backlighting, and a touchpad with a built in fingerprint sensor deliver superior ergonomics and security. Weighing only 4.8 lbs. (2.2kg), with dimensions of 14.95" x 9.8" x 0.73" (380mm x 249mm x 18mm), this svelte system is fuelled by a 4 cell Li-Polymer 55WH battery pack good for up to 300 minutes in UMA mode. This system is optimized for and features Windows 10 Professional 64-bit. Expand your visual workspace with up to 3 external 4K UHD displays (3840 x 2160 at 60Hz) with HDR colour support that lets you view your creations in stunningly lifelike and vivid detail. The arrival of Virtual Reality (VR) is revolutionizing professional workflows. Scenes and models, photo-realistically rendered by the GPU, can now be explored in immersive virtual reality. VR technology makes it possible to work with designs at scale using natural interactions, allowing users to hold models in their hands, walk through entire buildings, or rehearse complex surgical procedures. Go about your work with ultimate confidence that PNY won’t let you down. Every PNY Prevail Pro Mobile Workstation from Scan comes with a 3-Year Next Business Day Onsite Service directly from PNY as standard, so in the rare event that the unexpected happens, PNY will have your Workstation back up and running in no time.